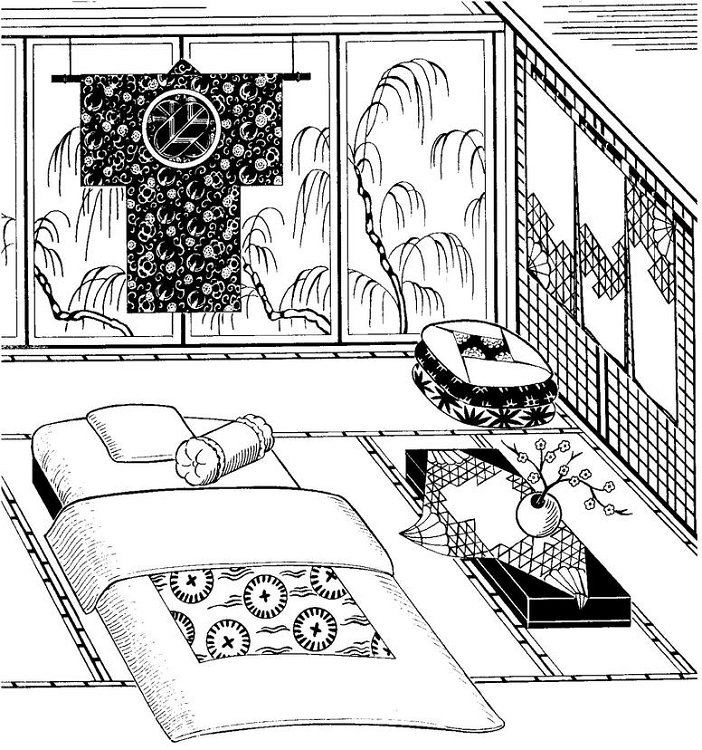 This collection of traditional Japanese pieces can be tastefully incorporated into any decorating scheme. 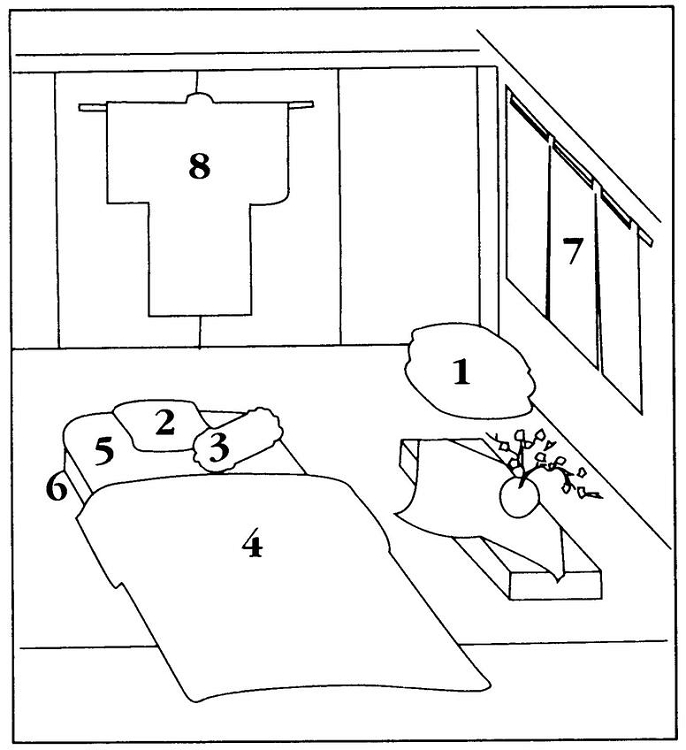 Pattern includes floor cushions (zabuton), sleeping pillows (makura), futon, futon cover, top quilt (kakebuton), decorative curtains (noren), and tips for adapting any kimono pattern (such as Folkwear #113) for a quilted sleeping kimono (yogi). Information about traditional handwork and dyeing techniques also included.